What if you are injured and have no idea what to do next? Many people are injured in Lubbock every day. In fact, even a simple fall can leave you severely injured. It’s very important to find the right personal injury doctor right away. However, many people don’t know where to start. You may even have difficulty thinking straight after you fall down or experience other injuries. This is why you must have a good plan for finding the right doctor in the area. Read on to discover how to make the best possible plan! Why a Personal Injury Doctor? Sometimes, clients hesitate to go to the doctor. They may even think their injury isn’t severe enough to require medical attention. However, your injury may be more serious than you think. And the longer that it goes without treatment, the worse your health will get. A good personal injury doctor can identify the extent of your injury. They can then provide the right treatment to quickly restore you to health. Finding the best injury doctor is also an investment in your future health. You will now have a trusted doctor for both emergency care and preventative care. 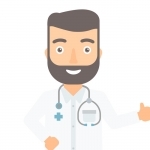 Read on to discover how to find the doctor that best fits your needs! The first step is to figure out what your injury is. In the case of something like a fall, you may have injured multiple parts of your body. Some injury doctors specialize in particular fields. It’s important to make sure you find a doctor who is experienced in treating whatever injuries you may have experienced. Even the location of your injury may affect your choice. For instance, those injured at their workplace may need to find a local doctor who has been approved by their employer. Once you know what injury you have, it is important to research what treatments and therapies are available. You want to find a personal injury doctor who has experience for every level of your physical recovery. For example, something like a nasty fall requires more than just immediate medical care. It may also require a lengthy period of physical rehabilitation. In some cases, your recovery may even require things such as massage therapy and cognitive therapy. Finding an injury doctor who offers a full range of such services can save you time and money and let you focus on making a full recovery. The next step is to research the experience others have had with the doctor. There are many different ways to do this. The first way is to use online ratings websites. Independent sites such as ratemds.com and healthgrades.com allow you to get an idea of how your community feels about a personal injury doctor. You can get similar feedback by consulting social media. This can range from asking friends in the community about a doctor or reading comments on the doctor’s social media pages. Some doctors encourage patients to rank them on Google and Facebook. This lets you get a raw quality score for any individual doctor. This research will help identify the doctor who is best for you. Knowing that they have great skills as well as a great bedside manner provides peace of mind for incoming patients. We have underscored how important it is to do your research. However, it’s best to do much of your research of area doctors before you experience an injury. There are many reasons why you should seek treatment very soon after the injury occurs. First, seeking treatment quickly can be important for your overall health. Personal injuries that go untreated too long may get worse over time. Things that impair your ability to move may lead to other falls and injuries as well. Depending on the circumstances of your personal injury, seeking treatment quickly may protect your legal case. This is important for those trying to make a personal injury case with their lawyer. In those cases, quickly seeking treatment helps provide documentation you may need for your case. Such documentation may even make the difference in whether someone takes the case or not. A personal injury usually means someone is seeking out emergency care. Their focus is on taking care of the injury and pain as quickly as possible. However, you should use the time to get to know the personal injury doctor and their staff. You should also familiarize yourself with their offices and services. This is because it’s important to begin thinking about preventative care. This allows you to find a doctor who can take care of a variety of your needs. For instance, you likely need a medical doctor for your personal injury. You may later require someone to take care of your back or joint pain. In that case, an office with a chiropractor lets you set up ongoing appointments as needed. Alternately, you may undergo physical therapy to help you after a fall. This may help you discover the benefits of physical massage. A doctor who also offers massage services may help you begin regularly relieving stress and tension. Ultimately, finding the best personal injury doctor can lead to a healthier life due to preventative care and strategic interventions. A good personal injury doctor can provide both pain relief and peace of mind. In some cases, they may even save your life. However, many people still have trouble finding the right doctor. This is especially true when someone is looking for a trustworthy local physician. Fortunately, there is an easy answer. Personal Injury Now has established itself as the premier center in Lubbock, Texas, for taking care of all of your personal injury needs. We offer a full range of physical, cognitive, and massage therapy. We also offer a full range of medical and chiropractic services, providing a “one-stop shop” for your specific needs. To find out how we can transform your life, be sure to contact Personal Injury Now today!